This should be a set text on how to write a neutral review! covering the Middle East as a journalist in 18 short chapters (the last five of which concern the war in Iraq). His approach is introspective and autobiographical, linking each story to the people he met and the places he visited. 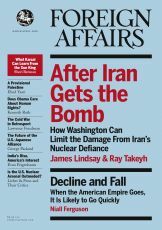 A few themes recur: the West (especially the United States) has been egregiously bad in dealing with the Middle East; the Middle East is neither so good nor so bad as Western stereotypes depict it to be, just more complex; and the Western media is hobbled by ethnocentric ideas of what is newsworthy and by a pro-Israel bias.